Sport is the main source of entertainment for any country. It unites the people of a region as nothing does. The new proposed world-class sports facility on Tucson’s south side is a promising one not only for sportspersons but also for revenue generation for the local governments. The Pima County Board of Supervisors has allowed a fund of $9.6 million in funds for expansion of the Kino Sports Complex, which will add 145 acres more to the 155 acres existing campus. The expansion work has been started in the first phase, and work has started on the facilities for 12 natural grass, sand-based multiuse fields, parking and an entrance from Benson Highway. This will also create 20 pickleball courts and related infrastructure, including concessions, lockers and an area for players and vendors. The first phase will be done at the cost of $26 million with a completion target of early 2020. The funding source for the project is the County’s issuance of certificates of participation. That means, initially it will be funded by the public and investors and later on they will be paid by the stadium revenue generation. The anticipated expenses for the first five years are $57.8 million, and it has a target of $109 million of return in the next five years. The expansion will not only generate revenue from the stadium, but it will also help the hotel and travel industry to prosper. The hotel businesses will seemingly earn good profits as soccer, football, lacrosse and rugby games are held throughout the year. It will also create additional private employment. This is not a new project. In 2012, the Pima County Board of Supervisors had approved an economic development plan with a focus on diversification of sports activities. The plan was again updated in 2015 and 2016. The motive behind the expansion is not limited to the creation of a source for enjoyment to the families here. It has a larger objective. It will help in creating world-class athletes, and this will also indirectly augment a market for tourism and travel. This segment has given positive results for other locations as well. According to Pima County Administrator Chuck Huckelberry, the last U.S. Youth Soccer Region 1 Tournament held in Virginia was able to generate a financial revenue of $15 million. As per the Stadium officials, they want this stadium to have facilities for multiple games. Though soccer has a larger audience and the size of soccer facilities dominate the whole sports complex, the officials have been working to establish game complexes other than that of soccer. They believe, engaging in other sports should be equally encouraged. Baseball and soccer events have shown houseful booking for the matches to be played in February and March. The Kino complex’s present facilities have been booked as well for Major League Soccer’s preseason and international baseball happening in Tucson this time. With the expansion, we may see an all-round year booking for sports at this top-class sports complex. The new project will also let the players to be included not only in field sports but also in new and upcoming games. For instance, Pickleball is no more a game for seniors now. People of different age groups and from across the valley are now willing to participate. The new complex will definitely be able to identify as well as promote the talent here. It’s quite satisfying to know that a rugby organization and collegiate and national soccer groups have reached the complex to have the games in 2020. The new field’s charm will never be lost. It will be sought by many. But, at this stage getting proposals is something very new. It shows the excitement in the whole Arizona about the new sports complex. The New complex is scheduled to open in 2020. The county’s Capital Planning and Economic Impact departments are doing their best in finalizing details about the phase 2 developments and the onus of commercial planning and retail development on the site lies with them. The complex officials also said that they hoped the Complex to be a perfect destination for not only sports watching but also for other activities. They want many hotels to be opening soon in this location, and they would soon end up clearing path for having a waterpark in this complex. This will make the new complex not just for sports but for other enjoyments as well. This way the whole complex will have six additional natural turf, multi-use fields, and additional recreational turf fields for community use, an event amphitheater with 5,000 seats and a 10,000-seat outdoor stadium. Not only this, but it will also include chains of hotels, restaurants, and retail shopping centers for the convenience of the visitors. The new complex has received support from the local organizations and has received support from local organizations, including the Arizona Soccer Association, Pima Community College, the University of Arizona, the Tucson Sugar Skulls and Visit Tucson. They are pretty hopeful about the success of the complex and this way they really hope to see many Arizonans talent in the national/international forum of sports. Last year, the U.S. Youth Soccer regionals were held in the Salt Lake City generating $7 million in revenue, including more than 10000 hotel bookings and transport revenue. It can give an idea of the impact of the new complex going to be in Arizona if sports events are regularly held here. Like every coin has two sides, democracy is vibrant as it allows dissenting voices as well. Pima County Supervisors Steve Christy and Ally Miller have different views on the whole sports complex. They even voted against the fundraiser for the expansion. As per them, the complex business model should not be the work of the government; it should be left to the private players. The ballpark should have built at the downtown instead of Tucson’s south side. They feel that this is a major source of finance drain, and a lot could have been done for the other social sectors which will have impacts on many instead of a doubtful investment in a potentially disastrous business model. 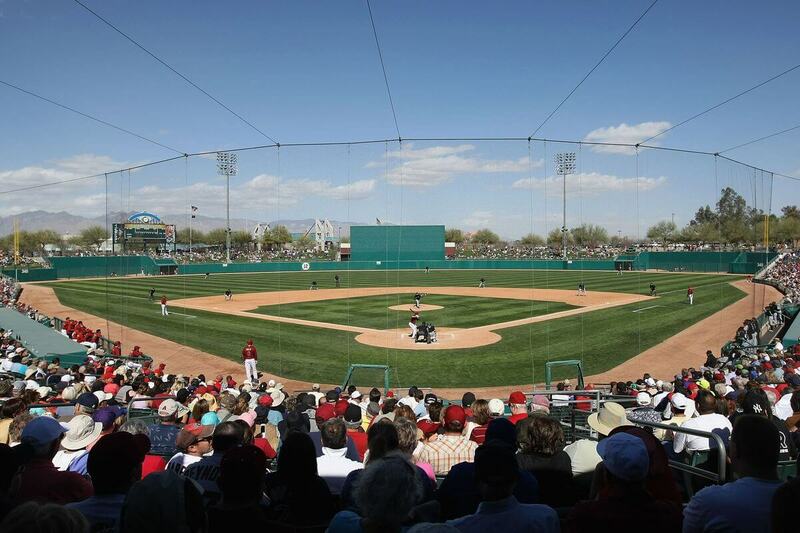 It’s to be noted that after the MLB Spring training left, the revenue of the Kino complex reached $100,000 from $1.2 million. Later on, after adding soccer and other events, the stability in revenue has been normalized. The complex has many promises to keep. This has the potential to change the whole scenario of sports in the state. But, little caution needs to be followed as far as the business model goes. The state should take help from professional consultants to draw a profitable business plan. In this way, we can save tax payer’s money having gifted them a world-class sports complex.